South Africa is considered a semi-arid country and water is identified as the country’s most limiting natural resource. Many water resources are polluted by industrial effluents, domestic and commercial sewage, acid mine drainage and agricultural runoff. Site closure and groundwater management issues are significant for many mining companies. All improvements to the way that these issues are addressed will have positive impacts for the bottom line – helping to lower the costs of environmental compliance and to reduce the post-closure liabilities. Typically water-related environmental problems associated with polluting discharges from coal and metal mines are due to acid mine drainage (AMD) and leaching of contaminants such as sulfates, arsenic, uranium and heavy metals such as chromium, cadmium and mercury into the groundwater. 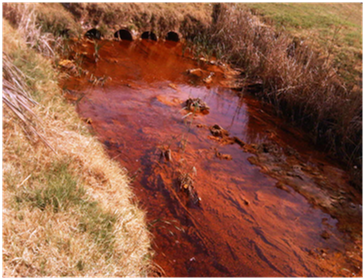 The Biotechnology Division is currently investigating the potential use of bioremediation for the treatment of mining-related water and effluents contaminated with pollutants such as chromium, arsenic and uranium. Another area of interest is the development and optimisation of processes for the treatment of solid waste materials such as tailings, e-waste and spent catalysts. Recovery of gold from gold tailings is of interest to many companies, and Mintek’s expertise in bioleaching could be utilised for the development of processes for the recovery of gold tailings. E-waste has been identified as the fastest growing waste stream both globally and in South Africa, and unless action is stepped up to collect and recycle materials properly, many developing countries face the spectre of hazardous e-waste mountains with serious consequences for the environment and public health. Although e-waste contains valuable metals such as gold, palladium and copper, there are also hazardous elements present, which are drivers for the development and implementation of sound collection and treatment processes to minimise environmental and health impacts. Mintek is providing contract R&D and consulting services to the minerals industry globally and has, as a result, developed considerable expertise in the isolation and adaptation of microbes to be used in biological processes, process optimisation, reactor design, flowsheet development and scale-up of bioprocesses. Mintek is therefore well positioned to develop and deliver bioremediation technologies.